Shinsuke Nakamura will not be dropping the IC title to Kenny Omega after all. New Japan announced tonight that they are stripping Nakamura of the championship, and that Omega will face a mystery man in the main event of the New Beginnings in Niigata on February 14th to fill the vacancy. 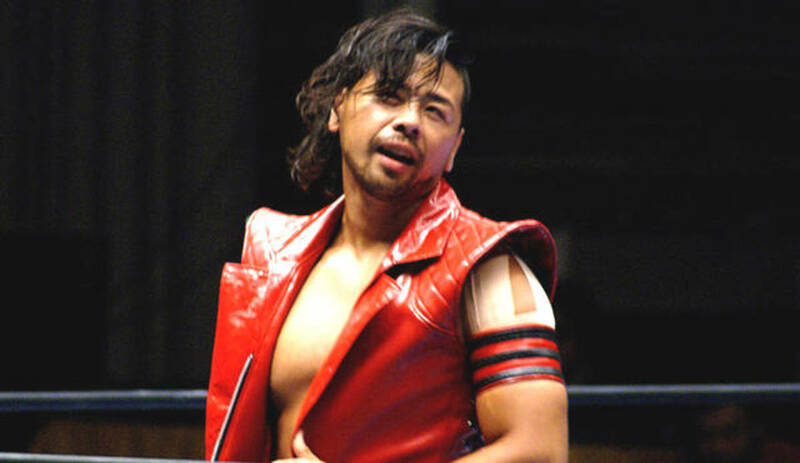 Nakamura will continue to appear on New Japan shows for the rest of the month, with his final match on the January 30th show at Korakuen Hall. That show will have an All-Star main event with Hiroshi Tanahashi & Hirooki Goto & Katsuyori Shibata vs. Nakamura & Kazuchika Okada & Tomohiro Ishii. New Japan starts back on Sunday with the Fantastica Mania tour. Nakamura becomes the second major champion of a foreign promotion who has headed to WWE without dropping the title on the way out, following Alberto Del Rio, the AAA champion, not doing so in October. New Japan also officially announced the Okada vs. Goto IWGP title match will take place on February 11th in Osaka, as had been expected. Other matches announced for that show are Young Bucks defending the IWGP jr. tag titles in a three-way against Bobby Fish & Kyle O'Reilly and Matt Sydal & Ricochet, Shibata vs. Ishii for the Never Open weight title and Mark & Jay Briscoe & Toru Yano defending the Never trios titles against Bad Luck Fale & Tama Tonga & Yujiro Takahashi. The IC title was one of two major championships in Japan announced as vacant today. Due to Suwama, the Triple Crown champion from All Japan, suffering a ruptured Achilles tendon yesterday, that championship has also been vacated with a Kento Miyahara vs. Zeus announced to fill the vacancy.